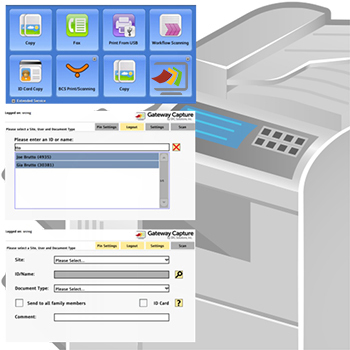 Gateway Capture provides unmatched capability with the world’s leading Multi-Function Device Manufacturers. Direct scanning from your MFD to your student, finance or personnel files is the most secure and efficient way to manage document collection, security and retention. Click on any of the manufacturers below to view the list of compatible models. Click here to learn more about Gateway Capture. Find out what Gateway Capture can do for your district. Register below for more information.